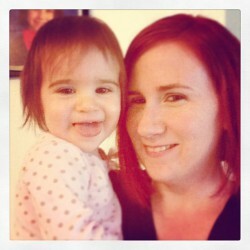 Readers wanted more of Finn and Carrie, so Jen McLaughlin delivered to her fans. =) She delivered an amazing continuation of Finn and Carrie's story, but she also made these two go through some heartache in the process. First let me just say, Fractured Lines can be read as a standalone because Jen has Fractured Lines recap what happened in the previous books. So if you haven't read the first three, you won't be lost in the fourth book. In fact it may have you going back to read the first three for the first time or for the second time, etc. (depending if you read those books or not) You will fall for Finn and Carrie because theses two have overcome it all. Finn suffers with PTSD from his time he served in the Marines and it still is affecting him, especially since he recently was in a serious car accident. Carrie believes she can trust Finn to tell the truth about his PTSD, but she's having her doubts when she's receiving calls about Finn being on medication again. Carrie can't handle going through Finn's past troubles again, and she has to think about not only herself but their daughter's well-being too. 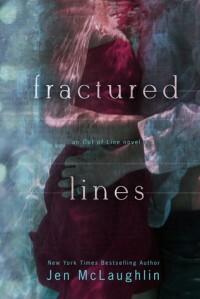 I won't go into the storyline much because Fractured Lines is a very short novel that can be read in a day. Be prepared for some tearjerker moments, happy moments, and angry moments in the fourth book to the Out of Line series. Poor Carrie and Finn are tested several times with their relationship, but they will make it through everything. Jen McLaughlin proves in Finn and Carrie's story that their love is forever. Love will be tested, but love will conquer it. I enjoyed this story tremendously and give it 4.5 moons.I look forward to reading more books from this series soon. I received a complimentary copy of the book from InkSlinger PR (via the Author) for the blog tour in exchange for an honest review.